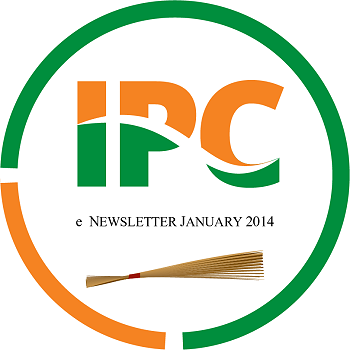 Welcome to the January 2014 edition of the IPC e-newsletter. The IPC e newsletter is distributed free to more than 4000 people around the world. Jotun Saudi Arabia, claimed to be the Kingdom’s number one paint manufacturer, exhibited at the Saudi Green Building Forum 2013 (SGBF), which was held on Nov. 18-19 at the Four Seasons Hotel, Riyadh. At the forum, Jotun presented details of Jotun GreenSteps, a global environment-friendly initiative that consists of five key goals, each ensuring Jotun products are created in a way that minimizes the impact on the environment. Aquaris, one of the world’s leading brands of eco-friendly wood finishes, has entered the Sri Lankan market with the backing of Asian Paints, the India-headquartered multinational coatings company. ‘Aquaris’ water-based polyurethane (PU) wood coatings from the Italian manufacturer Renner Italia S.p.A. of Minerbio, Italy was presented to top architects and leading construction sector personalities, at a recent launch. Because the Aquaris products are water based, they have significantly lower volatile organic compounds (VOC) than solvent-based coatings, which are associated with respiratory problems. They have lower odour, are less toxic, provide more durable protection, and are easier and faster to apply. These products are the preferred choice for buildings seeking ‘Green’ certifications for eco compliance, according to a company media release. Dow Chemical Co. says the former Rohm & Haas labs in the Philadelphia area developed a house-paint ingredient that will substantially cut the paint industry's water and energy consumption while allowing homeowners to cover walls more evenly and hide stains. That ingredient, branded as Evoque, was honored Wednesday by the U.S. Environmental Protection Agency as one of the nation's new "greener chemicals." The government and the company say it will lead to lessened need for an energy-hungry pigment in white, pastel, and mid-tone paints. With the Baddi-based plant of Asian Paints (India) Limited, manufacturing powder coating, closing its operations due to decline in its processing volume, it appears to be the beginning of the exodus of renowned industrial groups from the state. The plant, which has closed its operations since November 25, has led to retrenchment of at least 30 employees, though Labour Officer PC Thakur said all dues had been settled and the management had duly informed them about this move. The plant had an annual capacity of 18,000 metric tonnes. It had come into operation in 2006. Asian Paints is the country’s largest paint company and third largest globally. Its other plants at Sarigam, Gujarat, will, however, continue its normal operations. The closure of this plant at a time when new investment had declined and even expansion proposals had been reduced to a trickle would not portent well for the industry, opined officials. He said employment opportunities had already shrunk and the government should accord top priority to tackle the problems of the industry to ensure that the existing industries sustain in the present scenario when Central incentives had been stopped. Industry sources said earlier the investors of pharmaceutical units had initiated a move to shift their high value and low- volume products to their sister concerns in other states and now closure of renowned groups did not augur well for the industrial growth. Cuddalore plant shuts down for annual preventive maintenance. The operations at Asian Paints Ltd's Paints Plant situated at Sriperumbudur, Tamil Nadu will be affected due to the strike called by the Asian Paints Employees' Union Sriperumbudur and workmen with effect from December 20, 2013.The plant at Sriperumbudur commenced production on 20th January, 2005 with an installed capacity of 30,000 million tonnes per annum, according to Asian Paints' annual report. Any indication of a revival for paint companies due to the strong monsoon and buoyant festive season sales might come to nought because of high inflation. Driven mainly by high vegetable prices (food prices soared 14.72 per cent annually), the retail inflation rate accelerated to an all-time high of 11.24 per cent in November from 10.17 per cent October. According to Akula, raising prices would be difficult for companies as they have already been raised seven to nine per cent during the financial year. Said Abhijit Roy, managing director, Berger Paints India, "It's a matter of concern what the latest inflation figures show. It will remain a problem if this stays like this.". Paint manufacturer Valspar is suing four of its competitors, including DuPont, claiming they conspired to fix prices on a chemical used in white paint and other products. DuPont, along with Huntsman International, Kronos Worldwide and Millennium Inorganic Chemicals allegedly worked together to set the price of titanium dioxide, a key ingredient of white paint, paper, plastics and cosmetics. Protech Chemicals Ltd of Montreal has reached an agreement with NPA Coatings, a subsidiary of Nippon Paints Japan, to acquire the Seibert powder coatings business. Protech will continue the manufacturing operations in Cleveland, Ohio. The deal is expected to close by mid-November 2013. WESTLAKE, Ohio, Dec 10, 2013 (BUSINESS WIRE) -- Nordson Corporation NDSN -1.44% today announced that its board of directors declared a first quarter 2014 cash dividend in the amount of $0.18 per common share, payable on January 7, 2014 to shareholders of record as of the close of business on December 20, 2013. This amount equals the $0.18 per common share dividend paid in the fourth quarter of fiscal year 2013. PPG Industries (Troy, Mich.), has released its annual automotive color trend data, which shows that white continues to be the world’s most popular car color based on 2013 automotive build data. The inaugural session at the company's site in Turbhe saw students of a school and an NGO learn simple, yet useful experiments. Michael Steiner, ambassador of the Federal Republic of Germany in India, interacted with the students . BASF India Ltd. conducted the inaugural session of its flagship chemistry program — Kids’ Lab — at its site in Turbhe on Thursday. The programme focuses on imparting knowledge to students about interesting, yet simple chemistry experiments that can be used to enrich the daily lives of people. The programme was inaugurated by Michael Steiner, ambassador of the Federal Republic of Germany in India. Also present at the opening ceremony was Raman Ramachandran, head, South Asia and chairman of BASF India Ltd.
On the first day of the programme, 16 students from Meerut’s KV Sikh Lines school participated, who had come second in the ‘Germany in my mind’ competition held early this year, wherein they designed a school magazine in German. The competition was organised by the German Embassy, New Delhi and the Max Mueller Bhavan. There were also a total of 15 kids from the NGO Muktangan. Speaking about the initiative, Steiner said, “The Kids’ Lab will be a fascinating experience for not only you kids, but also for us.” Congratulating the students of KV, he said they had done a marvellous job in the competition and will have the opportunity to experience cutting-edge research made in Germany in a kid-like manner. Ribbons of ultrathin graphene, combined with polyurethane paint meant for cars, can keep ice off of sensitive military radar domes, report scientists. The Rice University lab of chemist James Tour, in collaboration with Lockheed Martin, developed the compound to protect marine and airborne radars with a robust coating that is also transparent to radio frequencies. Bulky radar domes (known as “radomes”) like those seen on military ships keep ice and freezing rain from forming directly on antennas. But the domes themselves must also be kept clear of ice that could damage them or make them unstable. Enter graphene, the single-atom-thick sheet of carbon that both conducts electricity and, because it’s so thin, allows radio frequencies to pass unhindered. Spray-on deicing material that incorporates graphene nanoribbons would be lighter, cheaper, and more effective than current methods, Tour says. A bee and a jumbo jet: common sense would tell you that the tiny insect couldn't possibly cause any troubles for the massive airplane, right? Actually, no. Bees can cause trouble. So can mosquitoes. Even lowly gnats. When flying insects get in the way of an airplane's wing during takeoff or landing, it's not just the bugs that suffer. Those little blasts of bug guts disrupt the laminar — or smooth — flow of air over the airplane's wings, creating more drag on the airplane and contributing to increased fuel consumption. That's why a group of researchers at NASA's Langley Research Center — the "bug team" — recently ran several flight tests of coatings that may one day reduce the amount of bug contamination on the wings of commercial aircraft. Over the course of a few days, the bug team put the coatings through a series of real-deal takeoffs and landings on NASA Langley's HU-25C Falcon aircraft. "The reason we do these tests at low altitudes or do a lot of takeoffs and landings is because bug accumulation occurs at anywhere from the ground to less than 1,000 feet," said Mia Siochi, a materials researcher at NASA Langley. NEW DELHI: Paints and coatings firm Akzo Nobel India announced top level management changes with nomination of its Wholetime Director and CFO Himanshu Agarwal as the operating head of the company. Agarwal's appointment would be effective from January 1, 2014 and would act as the operating head till Managing Director's position is filled by the company, Akzo Nobel informed the BSE. Its present Managing Director Amit Jain would step down from the board, which would be effected from December 31. Happy new year and please do not negotiate with your customer for rates for powder coating, Calculate the costing and then decide. Just want to Say Happy New year with Great business expectation.